‘Resident Evil 2’/Capcom‘Resident Evil 2’ returns the franchise to its survival horror roots. The latest game in the Resident Evil franchise is “Resident Evil 2,” a remake of the 1998 classic arriving on January 25th, 2019. “Resident Evil 2” is rebuilt from the ground up, blending the horror elements of the original with the action-oriented gameplay of newer “Resident Evil” games. 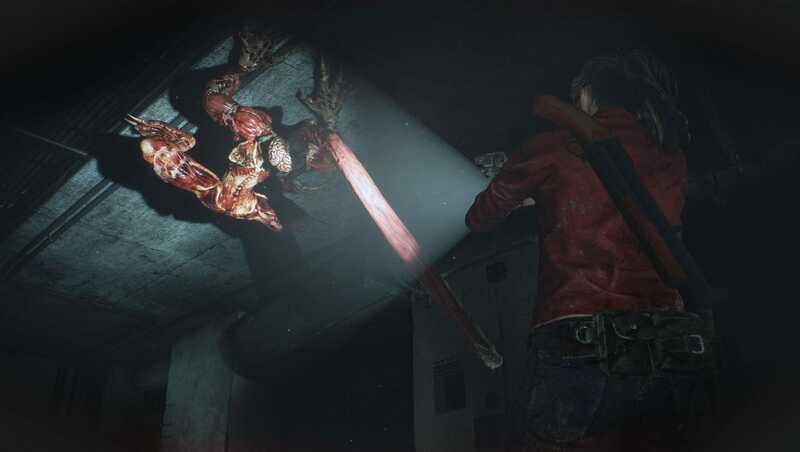 “Resident Evil 2” takes gore to another level, using an updated graphics engine to show the damage done to zombies in real-time. Picking up Capcom’s remake of “Resident Evil 2” for the first time, I thought I knew what to expect. I’ve beaten the 1998 original, and I still remember the parts that scared me out of my seat. But less than 10 minutes into the new demo, I felt myself gripping the controller in fear all over again. A special 30-minute demo of “Resident Evil 2” is available now in the PlayStation Network store and on Xbox Live. Capcom is calling it the “1-shot” demo because you’ll only have 30 minutes total to try the game, whether you survive to the end or get caught by zombies. The demo arrives two weeks before the full game, which is due out on January 25th. For me, returning to the monster-infested Raccoon City Police Department as rookie cop Leon Kennedy felt surreal; the setting was immediately familiar, but the remake’s overhauled graphics and camera angles offer a new perspective. Even with my memories of where to go, it took some time to navigate the dark hallways, as the game’s dynamic lighting left me relying on Leon’s flashlight to guide the way. ‘Resident Evil 2’/CapcomLeon relies on his flashlight to cut through the darkness. By the time I encountered my first zombies, I was fully on edge, despite carrying a full clip of pistol ammo. I could see their bodies falling to pieces as I fired, but they just kept coming, with some even attacking from the floor. 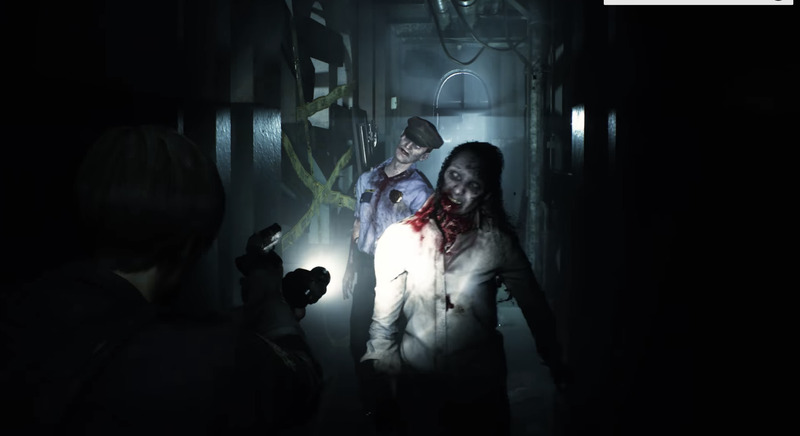 Damage done to the zombies and monsters appears in real time – this “Resident Evil 2” remake benefits from the fresh game engine Capcom developed for “Resident Evil 7.” Before I could find a way to restore power to the dimly lit hallways, I was forced to run for my life back to the main lobby and look for another way to escape. 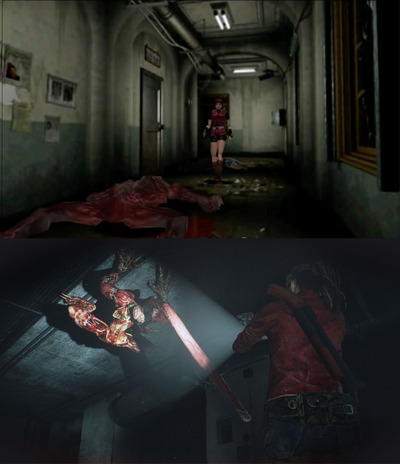 The “Resident Evil” series is credited with coining the term “survival horror” to define the unique genre the games pioneered in the late ’90s. “Resident Evil” made players feel vulnerable by stealing away their sense of control and limiting their resources, a stark contrast from the superheroic protagonists of most action games. ‘Resident Evil 2’/CapcomZombies aren’t the only danger lurking in the shadows. Building from the success of the first game, the developers of “Resident Evil 2” understood how to manipulate the technology of the time to build a terrifying experience. Fixed camera angles made the game feel less focused on the player, instead emphasising the horrific setting and leaving the potential for surprises lurking off-screen. With difficult controls and limited weaponry, each confrontation was a stressful choice between fight or flight. Surviving the game meant properly managing items, solving puzzles under stress, and staying aware of your surroundings. This changed with “Resident Evil 4” and its sequels, as Capcom shifted the game to an over-the-shoulder camera and more action-oriented gameplay. 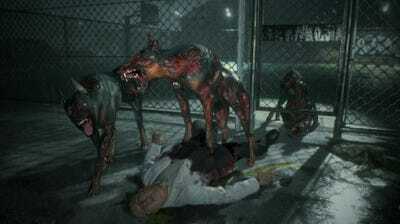 While the run-and-gun style of the newer games found an audience, fans of the earlier games complained that “Resident Evil” had abandoned survival horror to become a more generic action franchise. ‘Resident Evil 2’/CapcomClaire’s first encounter with this ‘Licker’ monster looks a lot scarier in the remake. 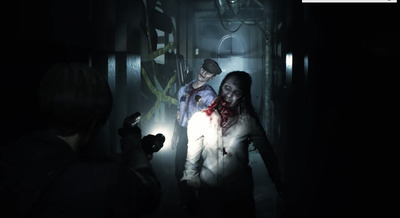 The redesigned “Resident Evil 2” strikes a healthy balance between the two styles of gameplay, giving players greater control with the over-the-shoulder camera, but continuing to limit resources as they explore the constant dangers of the police department. Using the updated RE Engine, “Resident Evil 2” completely recasts the game’s visuals, creating a dark and frightening environment to match the suspense of the gameplay. The game’s storytelling has also been revamped, expanding short conversations into full-blown cutscenes. Leon’s story is one of two campaigns in “Resident Evil 2.” The other story belongs to Claire Redfield, who we’ve seen battling the mutated Doctor William Birkin in earlier demos of the remake. Dr. Birkin pursues Claire through the tunnels beneath the police department and Claire is forced to flee and search the area for ammo to defend herself. While the fight is rather basic in the original game, the remake makes the updated boss battle feels suspenseful in all the right ways. Birkin’s behaviour has been improved to make him a true threat, and the improved controls give Claire more of a fighting chance. In the original game, the two story campaigns were interconnected and the order they were completed impacted the course of the story, as well as the items you can obtain in the game. Capcom said the storytelling in “Resident Evil 2” has been modified to make the plot more cohesive, though the two campaigns remain separate. Even as someone who finished the original game, the “Resident Evil 2” remake feels like a refreshing experience and achieves a wonderful balance between classic survival horror and modern gameplay. “Resident Evil 2” will be released for PC, Xbox One and PlayStation 4 on January 25, 2019, you can check out the story trailer below.